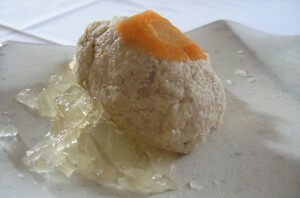 In the old-fashioned way of having babies (When a Dad does the ooky Dad thing to the Mom and then nine months later a baby emerges covered in the same gel that gefilte fish is packed in), part of the fun was wondering what kind of child was coming. (This was back when there were only two choices – boy babies and girl babies. Such an innocent time…) Also before sonograms, which took much of the guesswork out of buying shower gifts. Remember when the question “What are you having?” referred to the cold sesame noodles or house special lo mein? My then-partner/now-husband and I, having tried over and over and harder and harder to conceive an offspring in the traditional manner (it was simply grueling, I tell you), finally gave up the ghost and decided to adopt somebody via the good graces of the New Jersey State Foster System. We learned that the absolute best part (aside from, you know, giving a child a home who otherwise may not have had one) was that we got to pick. One – We’re boys. We understand boys. And boy stuff. So we have boys. And while we’re not overly fond of their massive arsenal of deadly weapons and gruesome, terror-inducing zombie video games, and continuous stream of fart jokes (not to mention the continuous stream of farts), still, to my way of thinking, it beats the hell out of the sight of glittery toenail polish and clouds of pink tulle. We’re boys, dammit. And in our house, it smells like it.